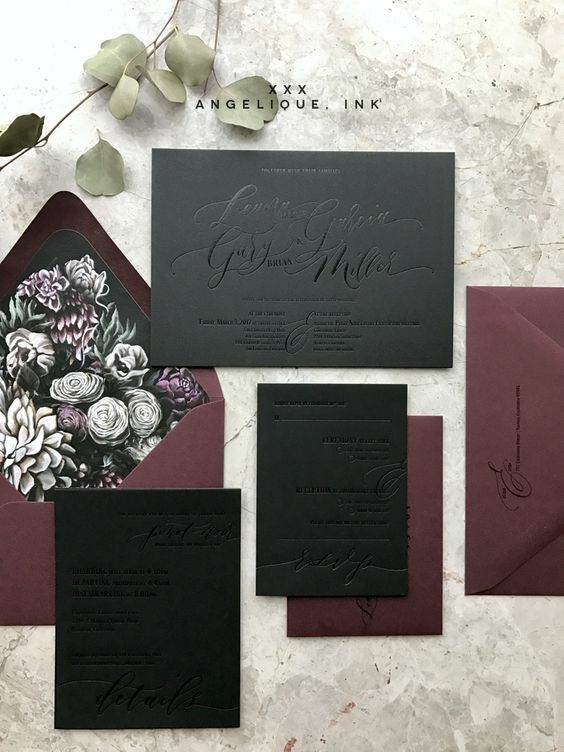 Moody weddings are a hot trend now, many couples opt for dark shades like deep purple, black, navy, grey and other colors like that and rock them with chic. 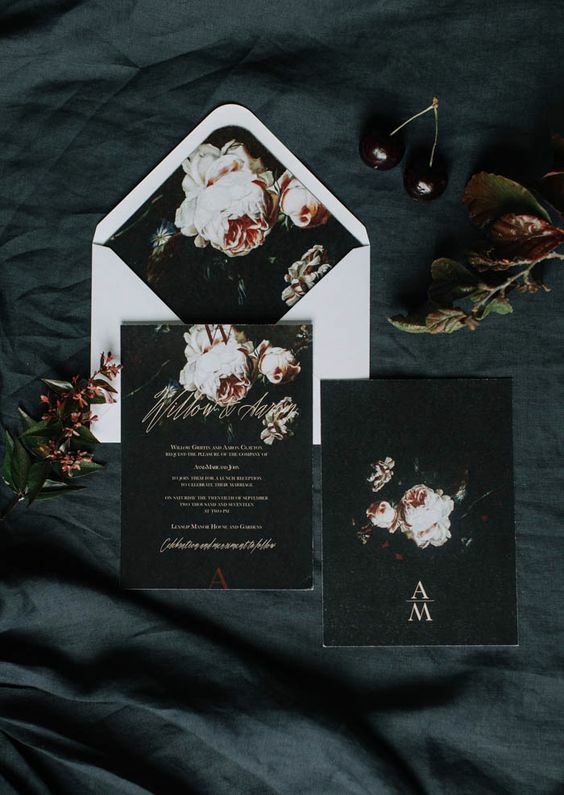 Moody weddings can take place in any season, from fall to spring, and if you are planning one, everything should fit your wedding theme including stationery. 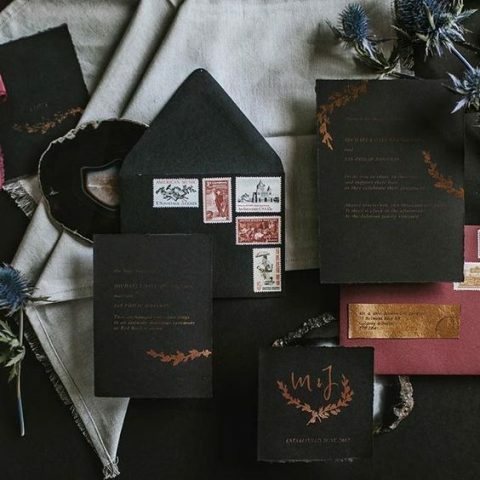 There are many ways to rock moody stationery, you should take colors, shades and style of your wedding into consideration before choosing the design. 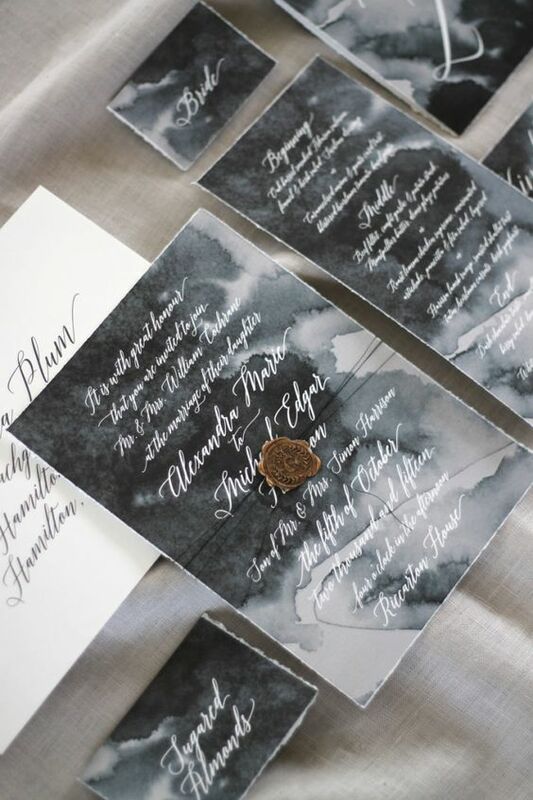 Here are some amazing ideas you may like and want to try. 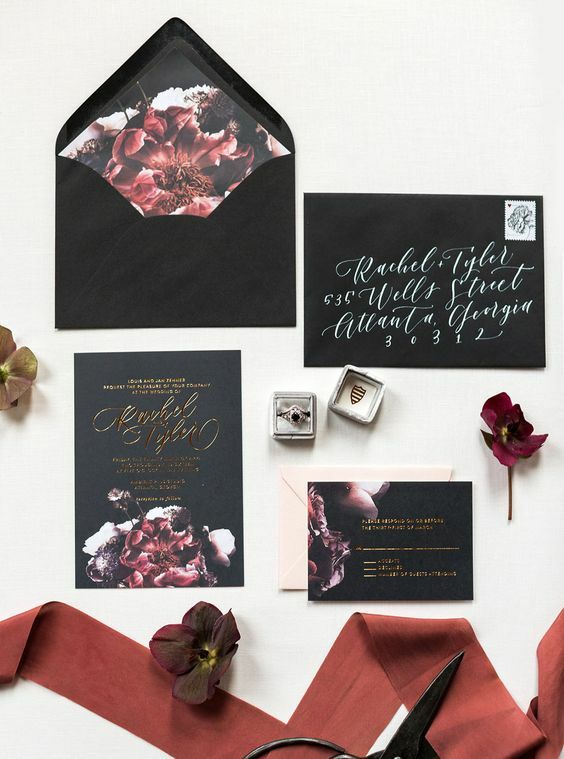 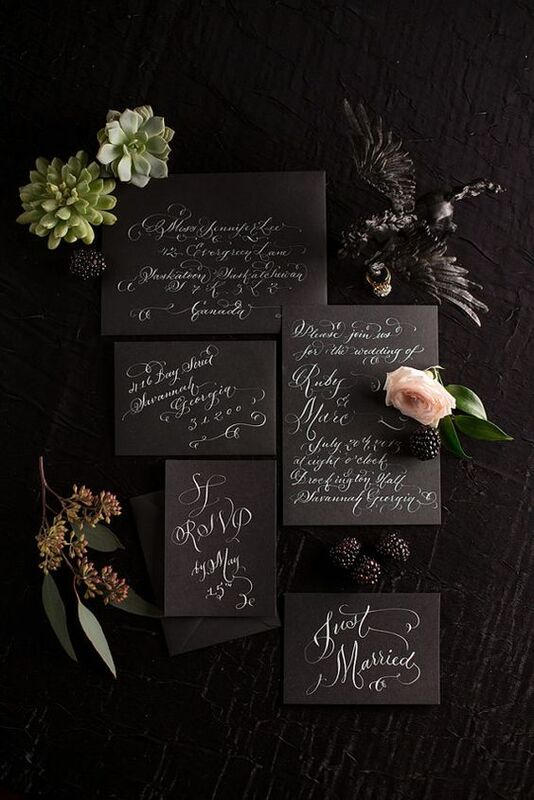 Black is the most popular dark color ever, and it screams moody weddings. 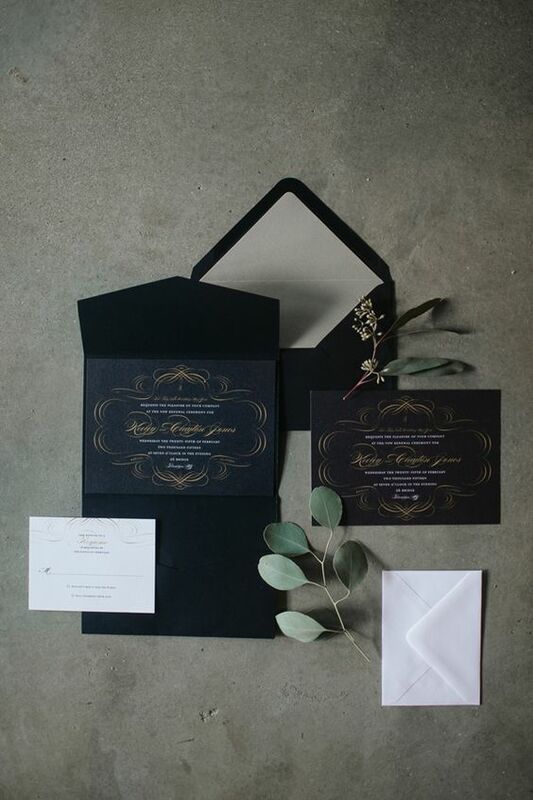 Black is a timeless choice because black is the new black, and you can never go wrong with it. 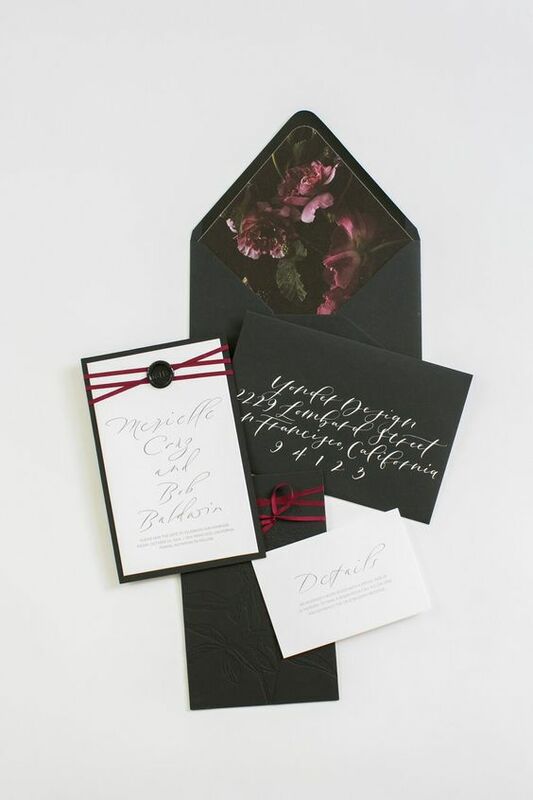 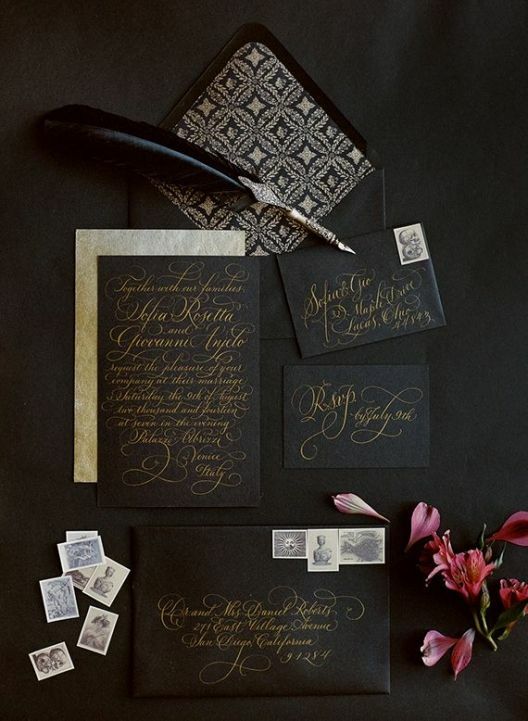 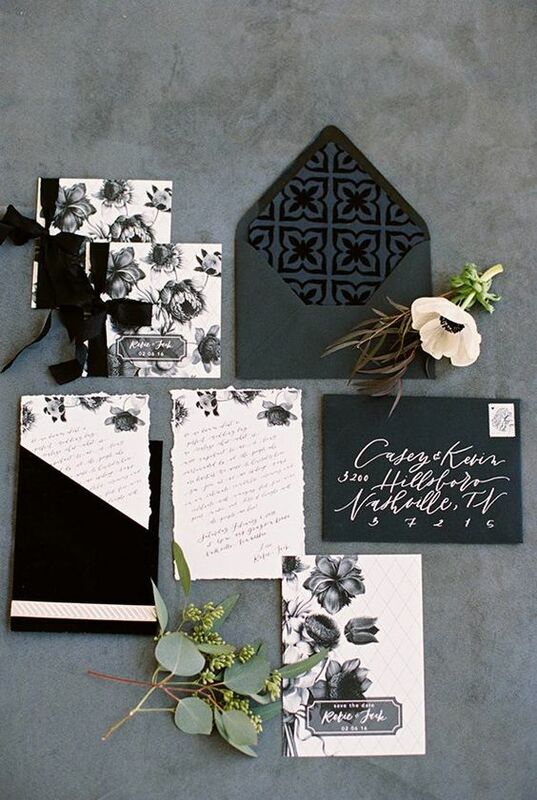 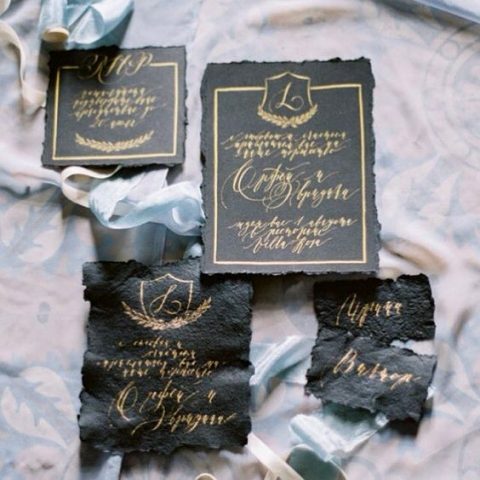 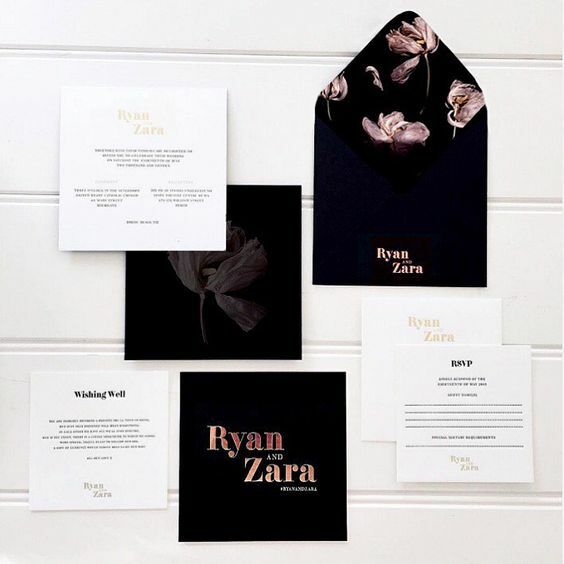 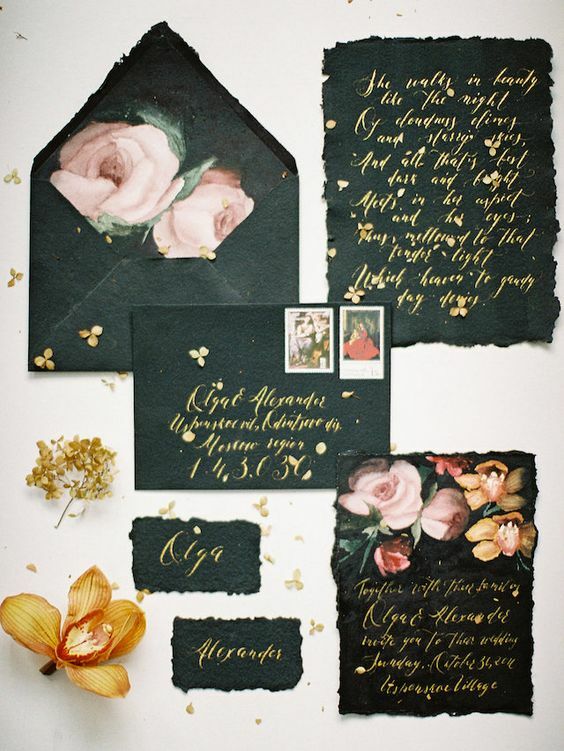 If you think it’s too hacky or boring, you are mistaken cause there are a lot of ideas to style black wedding stationery. 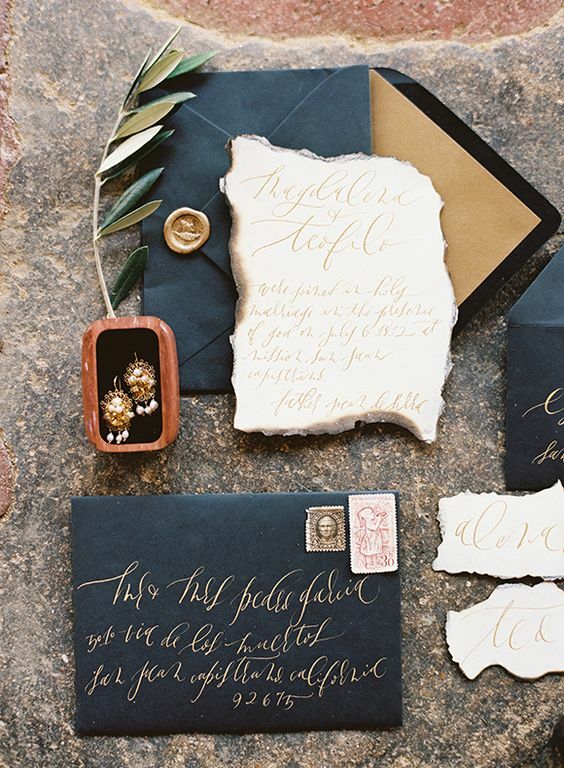 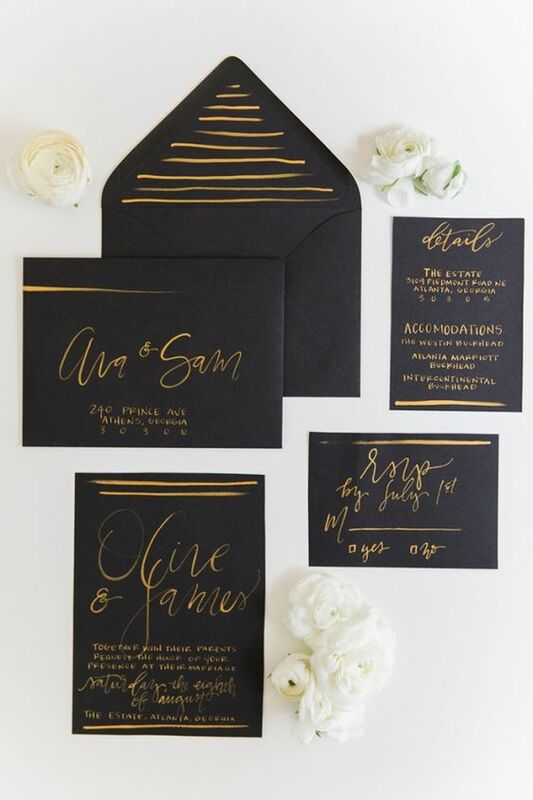 First of all, you may add different colors: gold, copper, silver, white, teal, pink – any color you like and make envelopes in black but all the rest in this color, which matches your wedding color scheme. 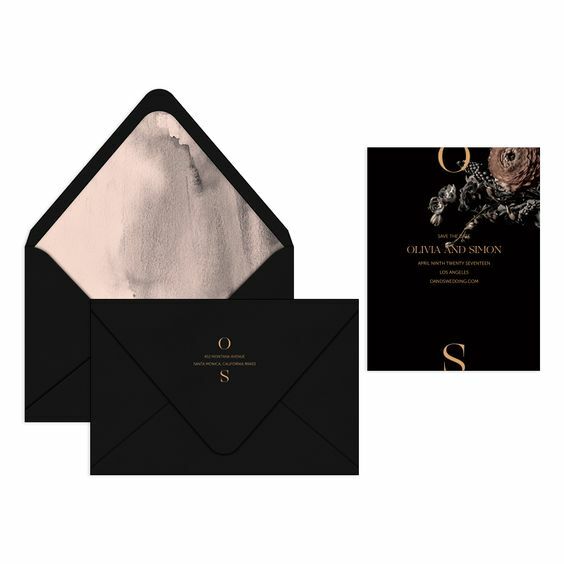 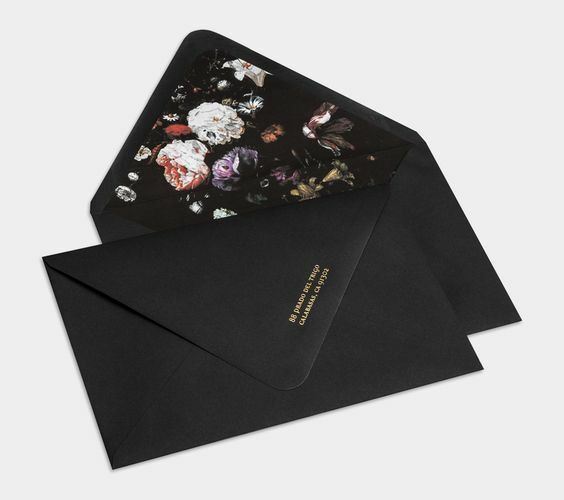 You can go for creative lining, for example, cool dark floral lining for the envelopes, it looks romantic. 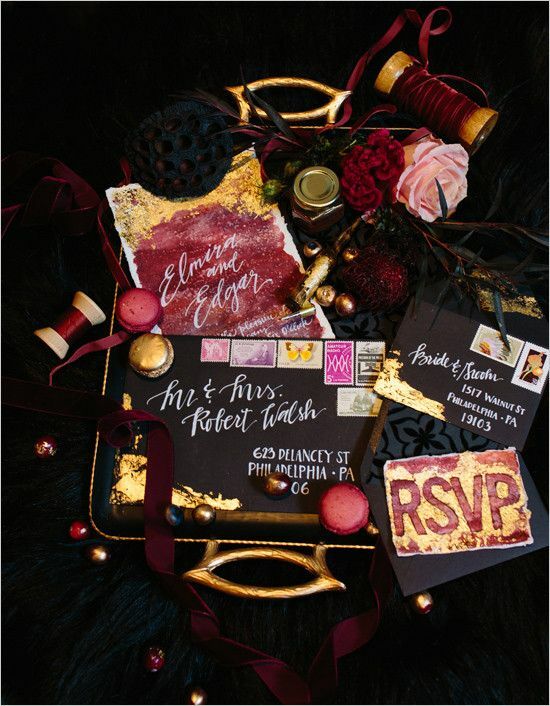 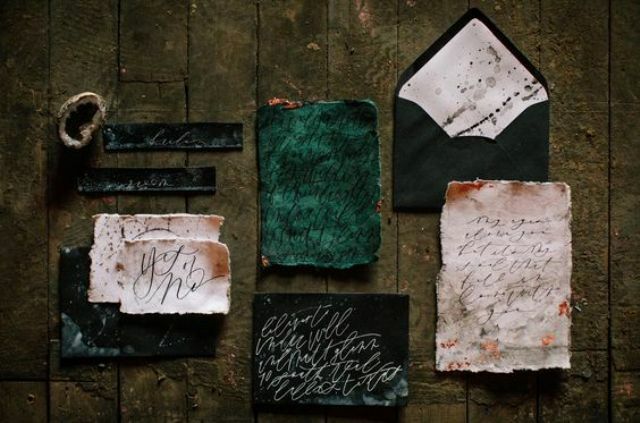 Add eye-catchy details like a raw edge, seals, ribbon, pressed prints and maybe even make the invites of faux leather. 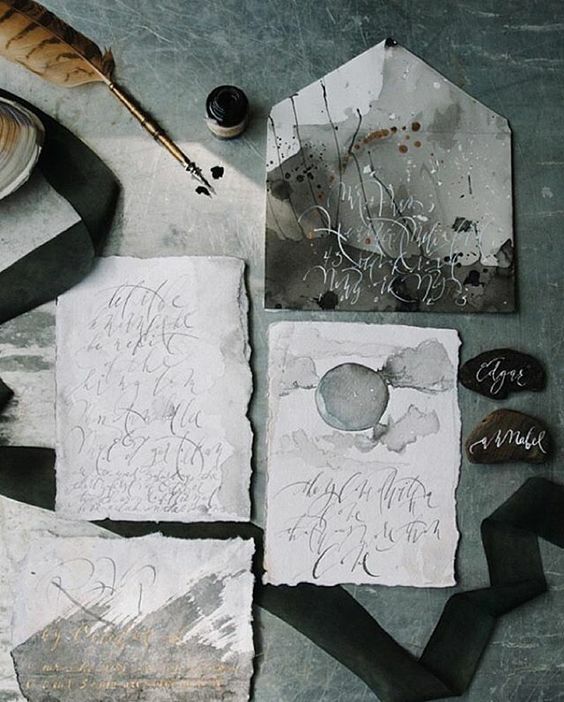 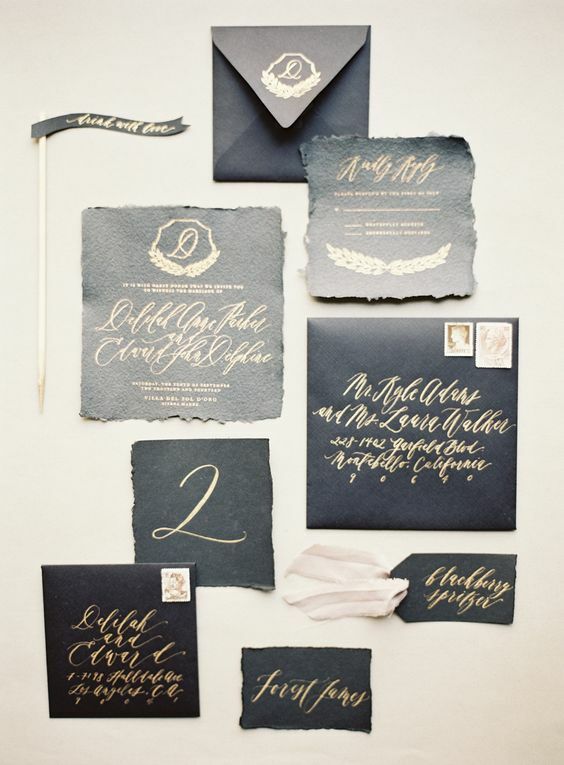 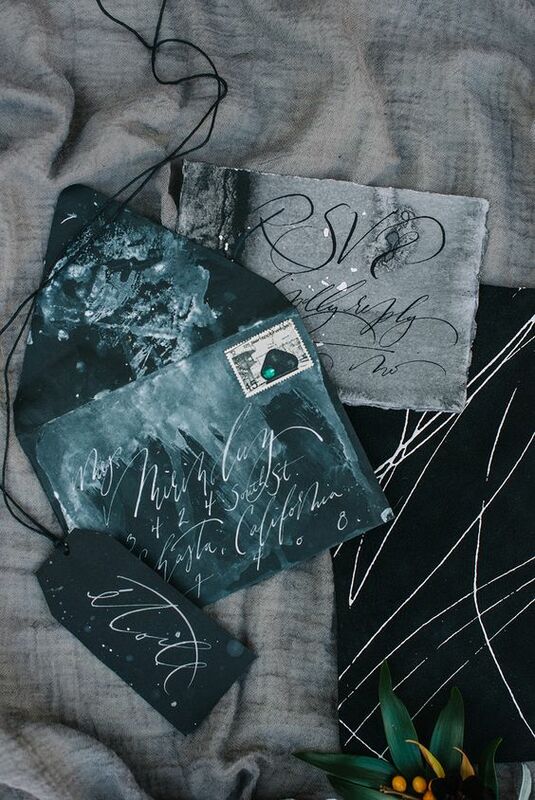 Of course, there’s nothing better than calligraphy, so rock metallic or white to create a contrasting look. 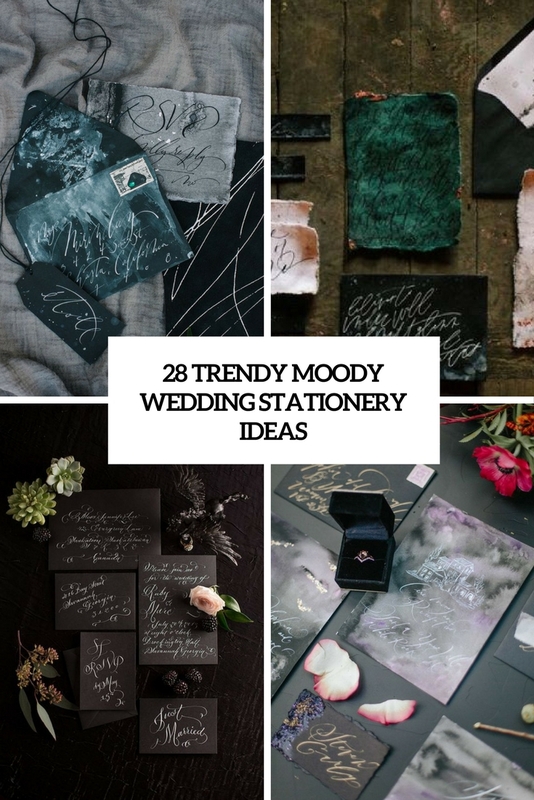 You may also try various moody shades for creating a cool look: teal, slate grey, navy, purple, emerald and others but in dark and dusty shades, choose the ones that coincide with your wedding color scheme to hint your guests on what to expect. 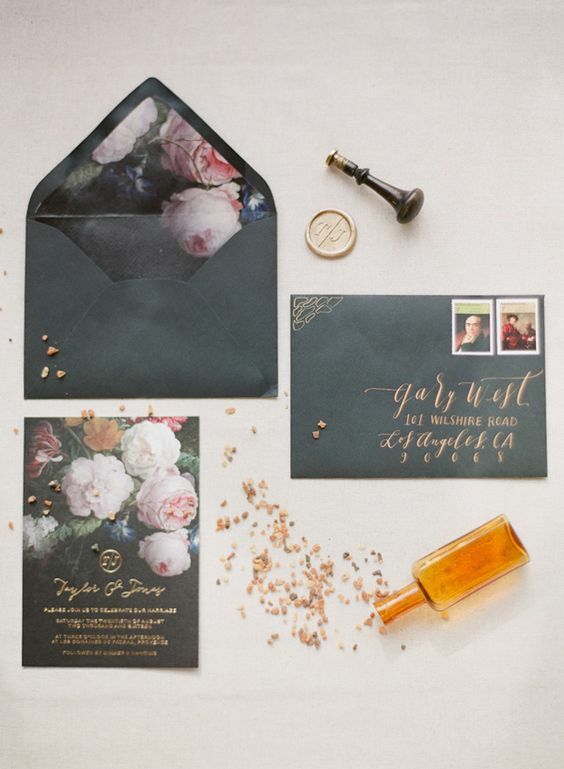 Watercolor will make your stationery cooler and trendier, and you’ll get two trends in one: watercolor and moody shades, so don’t hesitate to rock it. 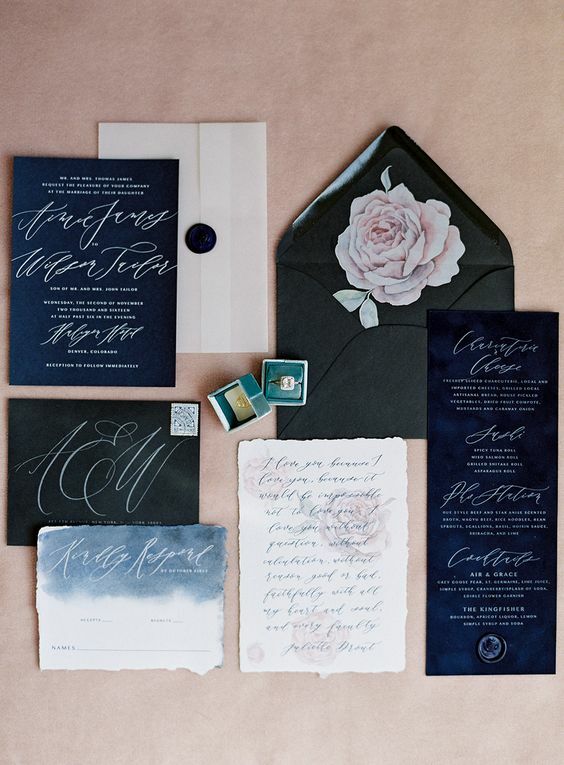 If you are having a moody coastal wedding, why not rock teal, navy, deep purple and greys? 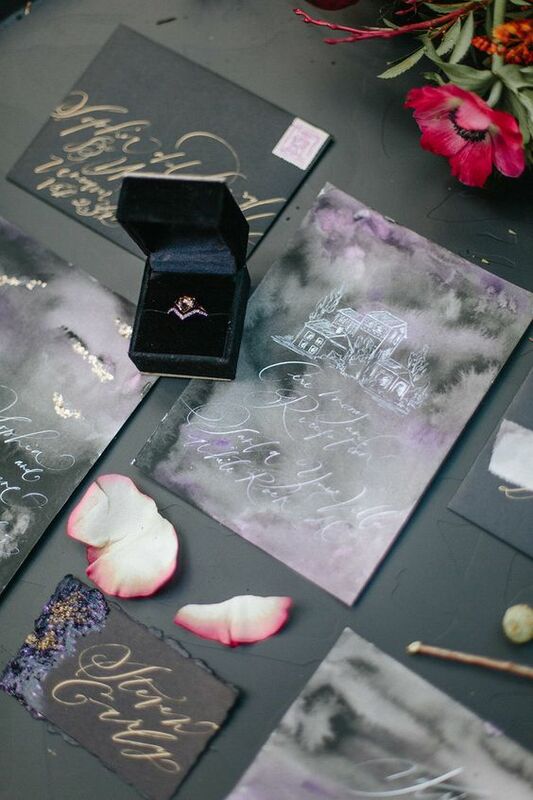 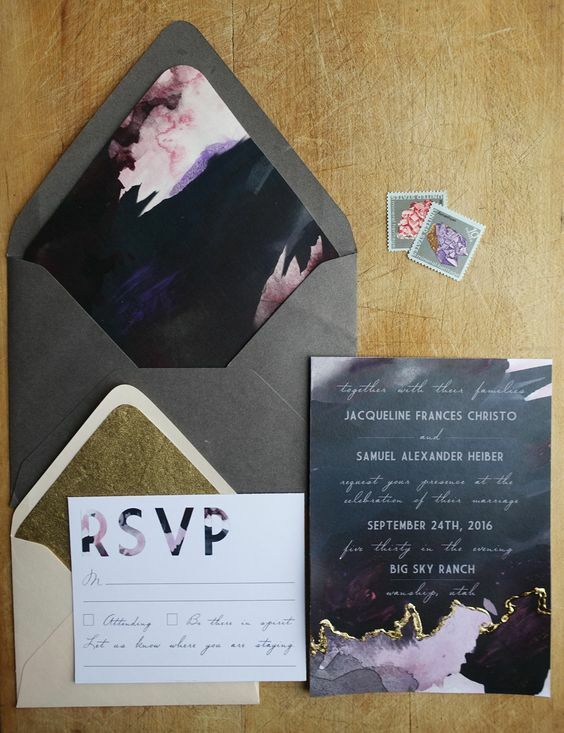 If you want more trends, rock a geode wedding trend choosing stationery with a rock-inspired touch in purple, blue, grey and so on. 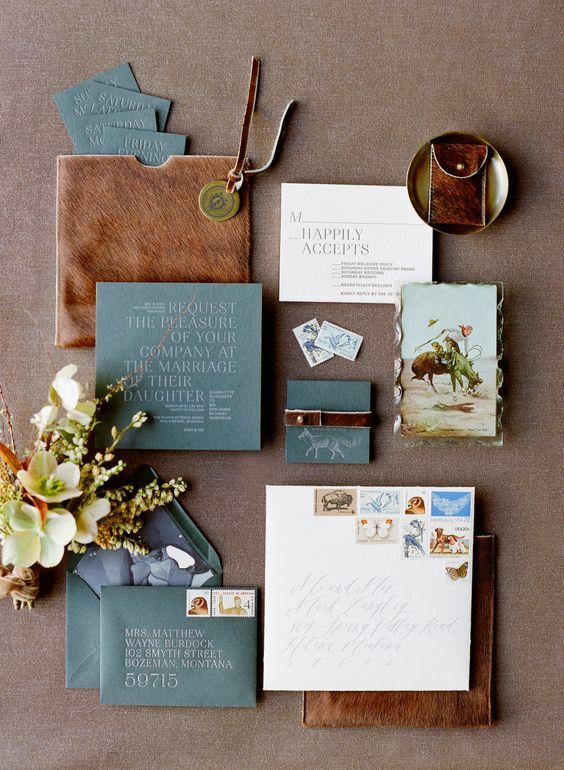 You can go for contrasting invites and envelopes, for example, teal watercolor invitations and copper envelopes. 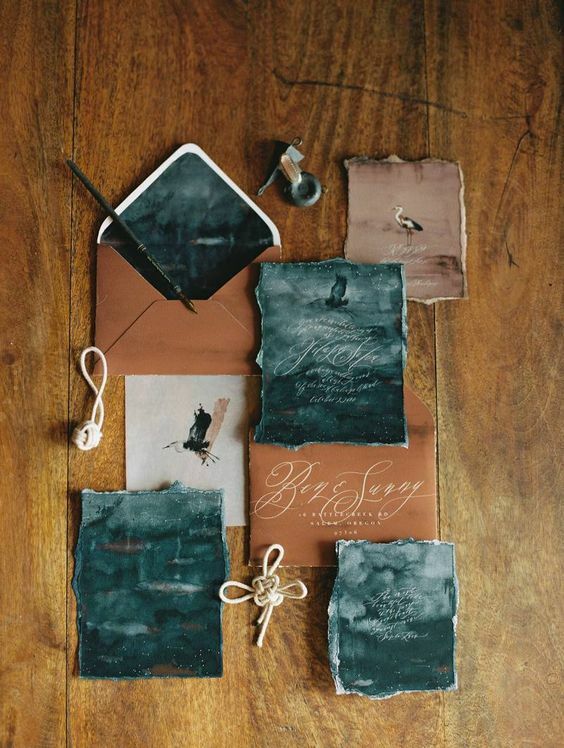 Various materials like faux leather, ribbons and seals will help to highlight the stationery.